This digital marketing program is designed for small business with an intention to empower business owners to manage their marketing on their own. With the growth of internet penetration as more users move online it will become imperative for business to draw customers through digital marketing. Since digital marketing is a direct to customer channel, in the process a lot of customer data is generated which is critical to business and hence will make sense for business owners to learn and implement. Understand CPC, CPM, CPA,CTR, Rates and other terms and terminologies. Search Campaign Creation, Bidding, Keyword Planner, Bid adjustments, Automated bidding, Optimisation Techniques. Conversion setup and tracking, Understanding key conversion metrics to ensure right ROI. Impression shares, segment data analysis. Facebook- Content Strategy, Facebook Ads, Instagram Ads, Hashtags, Facebook Contests, Remarketing, User targeting. Email Campaign Creation on Mail Chimp, Mail customisation and personalisation. Learn from the most experience trainers available in the business. Learn on live and real time environment. Get customized marketing strategy for business. Digital Marketing Training For SMB FAQs. Is it possible to grasp complete digital marketing in 6 days ? The 6 day capsule is meant for business owners and decision makers, wherein the learning would be purely from a business need perspective. The module will cover all the necessary ingredients needed in digital marketing . The complete training program would be on practicles and real learnings. 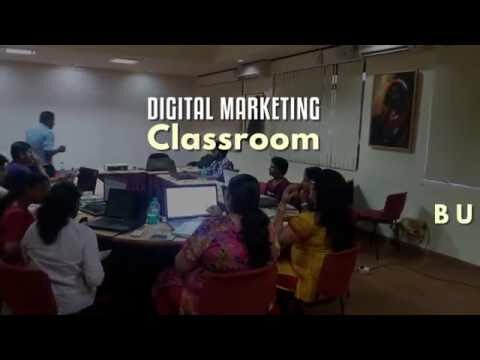 Real time learning would ensure the participants woudl walk out with full knowledge on how to implement digital marketing for their business. The entire module would be covered through a practical driven approach. Every participant will learn on live platforms and implementation. Those who can get their laptops along should bring their laptops along with them. The ones who would want us to provide laptops will have to inform us in advance. There is a discount of Rs 1000 for those participants who bring their laptops along with them.